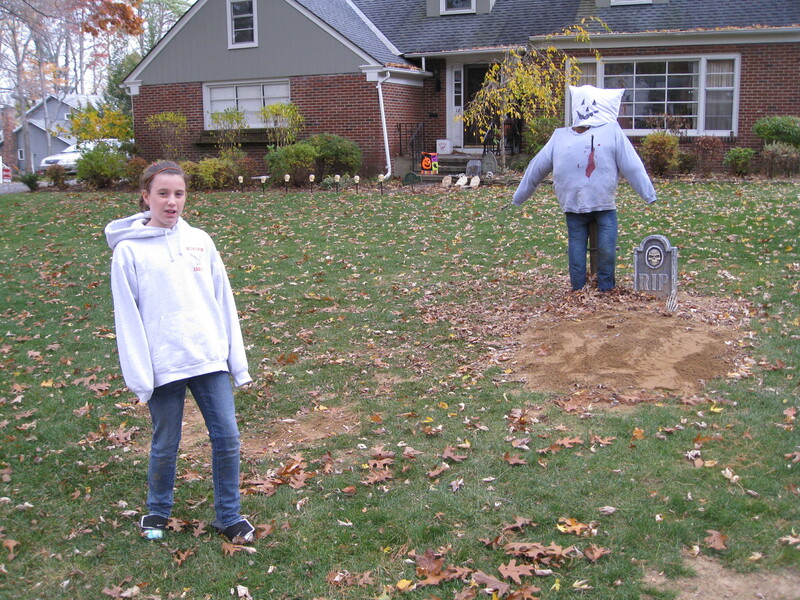 Just a quick share: a couple of years back I posted about the Preller Halloween tradition of building a scarecrow out on the front lawn. My father did it, now I do it. 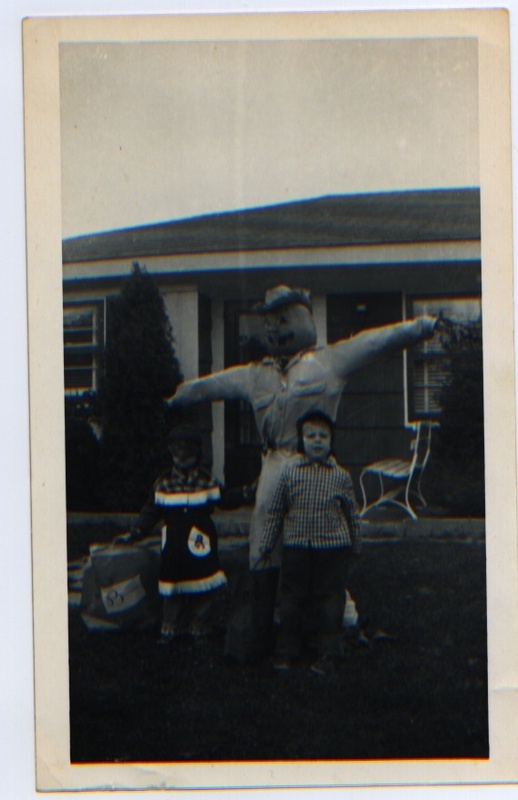 I have a photo from the late ’50s, before even I was born, and the scarecrow is virtually the same. We’re like artisans passing down the skill through the generations. I want you to know that the tradition still lives, though this year I wanted to try something new: a burlap bag instead of a pumpkin. Craziness, I know. 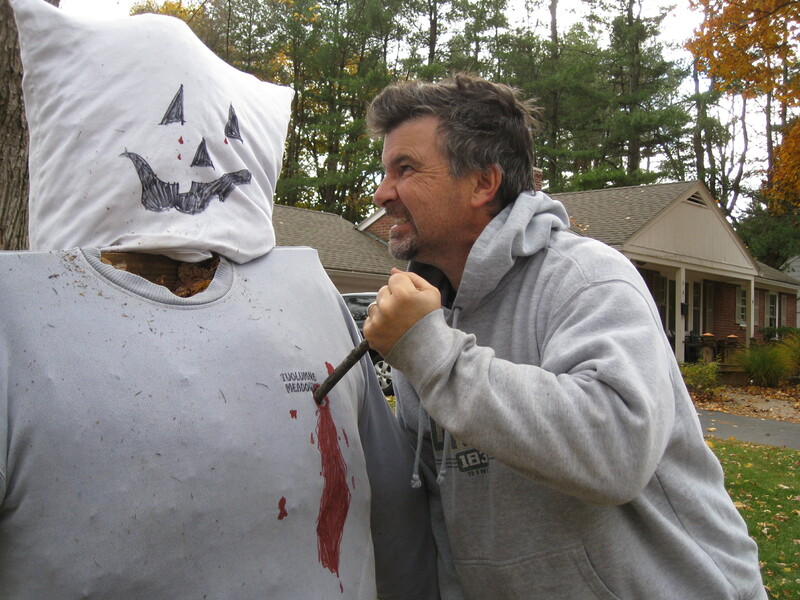 Turned out couldn’t locate a burlap bag, so went with a pillow case. At the last minute, we decided to go with a little gore/red marker. My lovely assistant grew about five inches this year . . . and turns ten soon! Good old Maggie, she’s still up for quality time with Dad. How many more Halloweens have we got? Okay, maybe I’ve still got a few issues to work out. 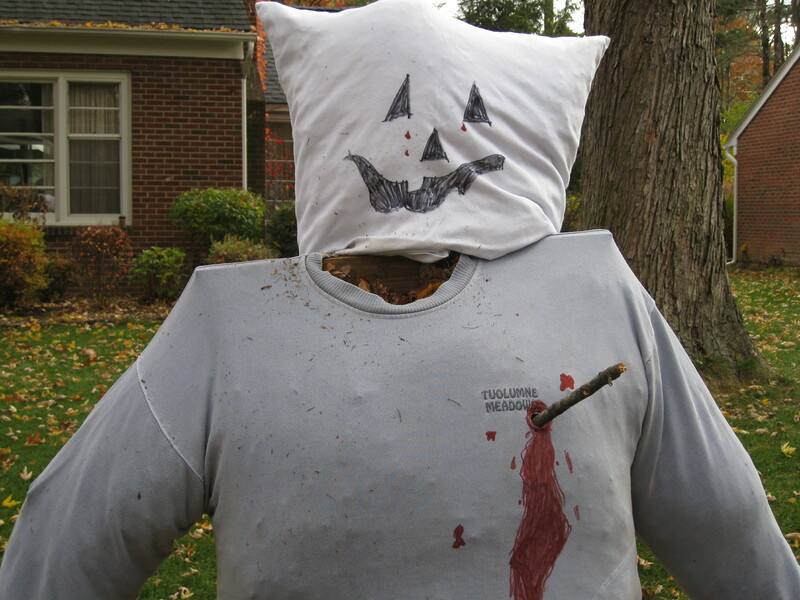 And about that old scarecrow . 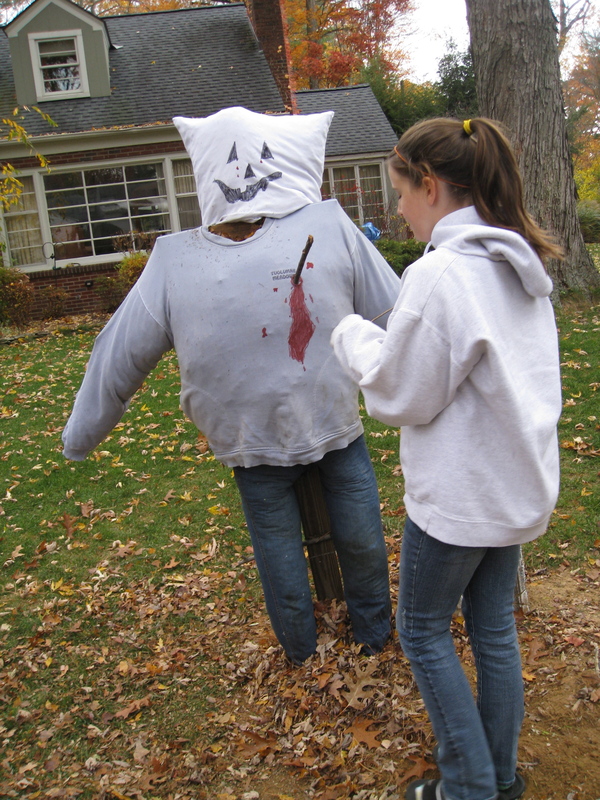 . .
Here’s proof — a scarecrow in front of my old house at 1720 Adelphi Road, Wantagh, NY. That looks like my brother John, front and center. I don’t know who or what exactly is standing next to him, masked and in white fringe. I’m hoping it’s not a relative. Way cool jim keep up those traditions. Way cool Jim..love those great memories of our childhood days ..